Vancouver-based Chains of Love release their debut EP, Strange Grey Days, tomorrow, Tuesday, March 13 via Manimal Vinyl Records. The band blends girl grou p vocals with dirty lo-fi garage rock. I caught a performance by the band this past June. Their set felt like an electric shock that generated some tingly excitement and all out fun. With an intoxicating energy, Chains of Love's sun-soaked romantic pop is injected with the stomp of vintage 60s soul, the wild abandon of 70s garage, and the guitar grime of The Cramps and early JAMC. 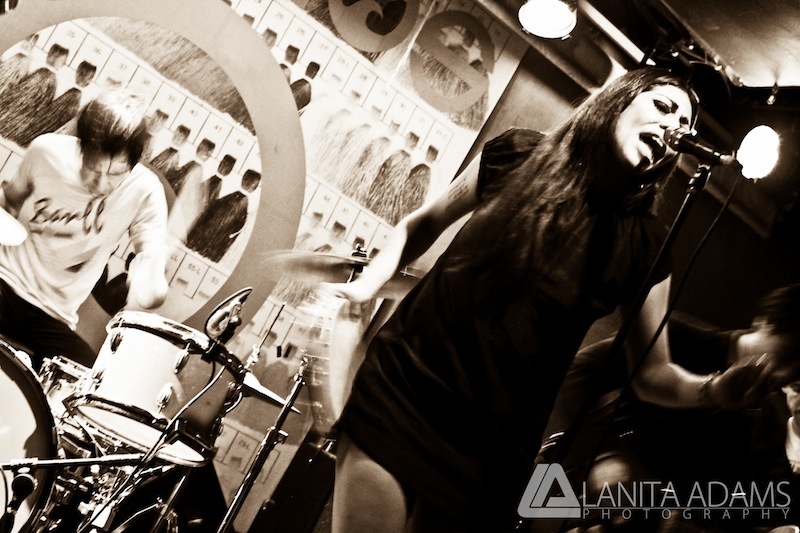 Initially inspired by the “memory of that girl group sound” when forming the band, Chains started by referencing certain artists such as Gail Harris, Ike & Tina, The Ronnettes, and The Shangri-la's by using their lo-fi recording styles as a blueprint for the sound they wanted to create but their debut EP Strange Grey Days signals that their sound expanding yet maintains rare urgency of that sets Chains of Love apart from their throwback-y, reverb-drenched contemporaries. In a recent interview, singer Nathalia Pizzaro says “I don’t wanna just say that we sound retro or Motown—that we’ve got a kitschy, candy shop vibe to us—I feel like there’s a raw element to our sound, too.” guitarist/vocalist Rebecca Marie Law Gray adds "We have so much fun when we’re recording. I think it translates in what you hear.” The band all would agree that Chains of Love is truly a passion project, putting every bit of energy and emotion into it. Uninitiated audiences who have been lucky enough to stumble across seeing them live often come away witnessing the best show they never expected to see.